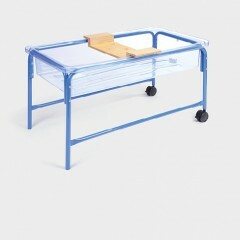 To support the development of continuous provision, we supply a range of high quality shelving units designed especially for children aged 2-3yrs. 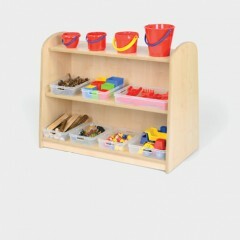 The range includes low level shelving for the display of resources and books and slightly taller shelving and an easel, to support role play and mark making. Our shelving units have been designed to make the most effective use of space, creating well-resourced, clearly defined areas of continuous provision which are attractive, vibrant and full of learning. 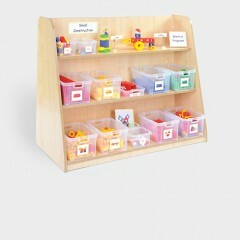 Available in five different styles including options to add display boards and mirrors. Mobile units are a fantastic way to display your enhancements, present resources that are shared between classes or display seasonal themes and provocations. 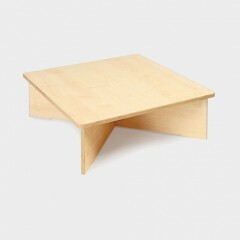 This great range of tables are designed to fit perfectly within continuous provision, offering low surfaces for children to sit at when reading or playing with small world and construction or taller activity tables ideal for snack, dough, baking, workshop, mark making, maths and investigations. Enrich your continuous and enhanced provision with our specially designed accessories, supporting independent learning in your sand, water and woodwork areas. A well-developed domestic role play area provides all the basic furniture and equipment to make a home. 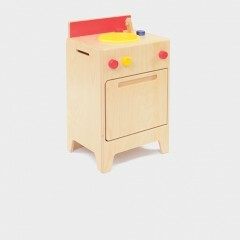 This high quality range of domestic role play furniture is highly attractive and will create a modern kitchen where children can connect to everyday situations in their lives.